Few political associations have had as disastrous an outcome as the one forged between Adolf Hitler and Benito Mussolini. The Axis alliance in defeat ultimately destroyed its two founders and their regimes, as well as the lives of millions of people. This book offers a complete chronicle of the Axis alliance. Few political associations have had as disastrous an outcome as the one forged between Adolf Hitler and Benito Mussolini. The Axis alliance in defeat ultimately destroyed its two founders and their regimes, as well as the lives of millions of people in Europe, Africa, and Asia in the process. 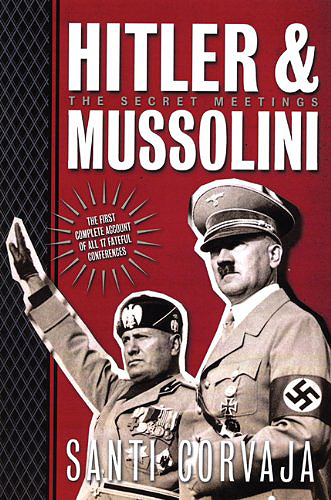 Yet the deeper motivations that were the root cause of the alliance between Germany and Italy, with the added ingredient of Imperial Japan and the political and personal relationship between Hitler and Mussolini, are explained while many aspects remain strangely mysterious even to this day. This book offers a complete chronicle of the Axis alliance.